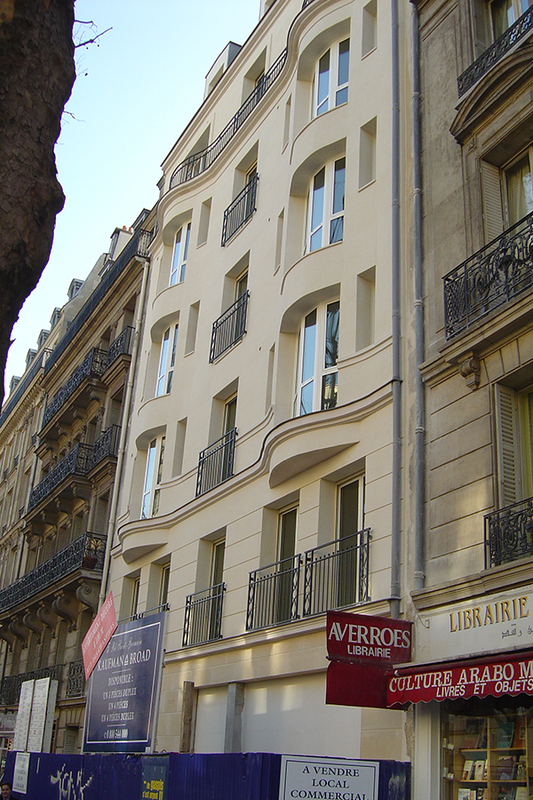 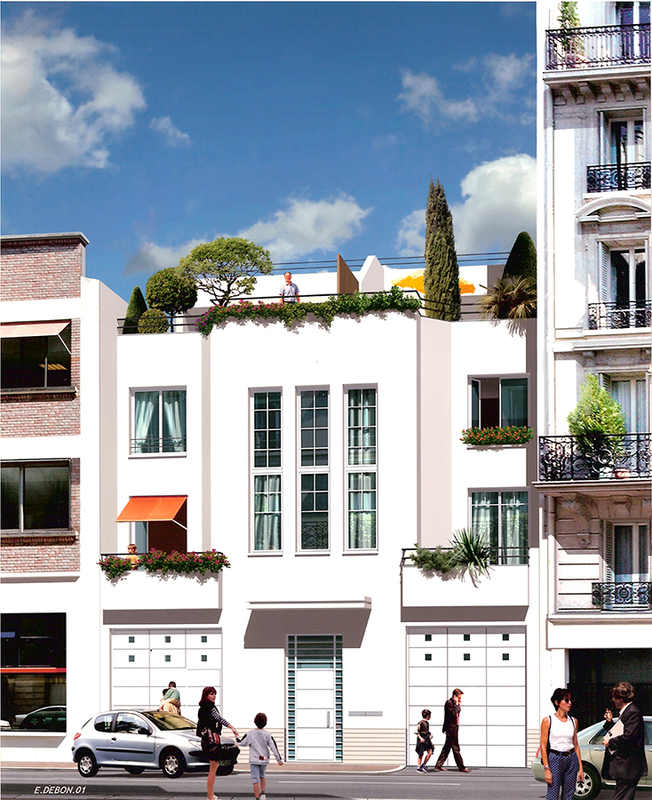 The New Classical Stone Facade on Boulevard Saint Germain was imposed by the Architect Batiment de France. 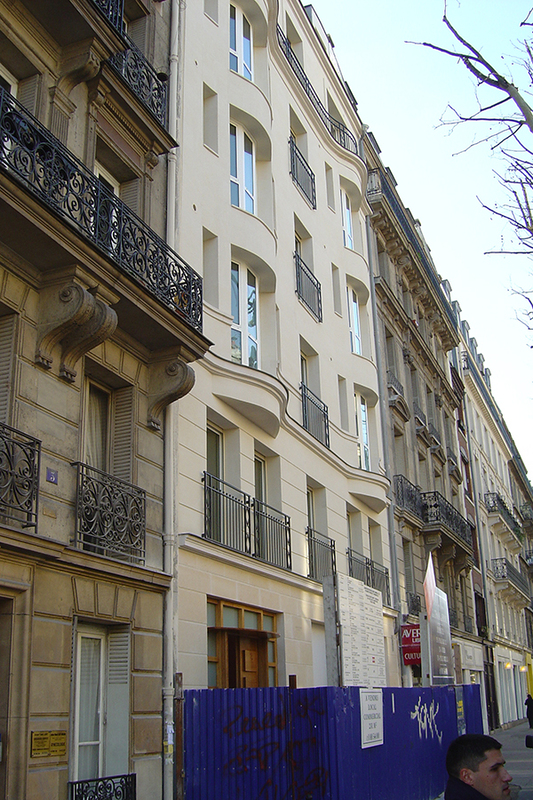 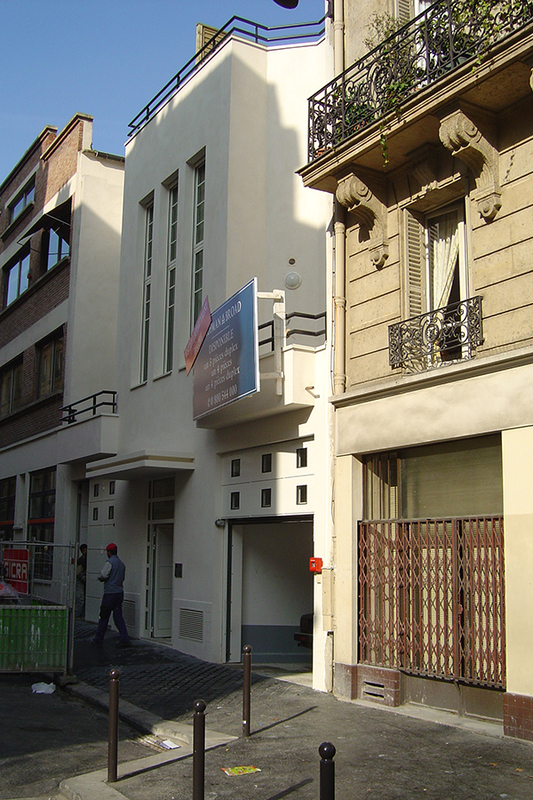 It contrasts with the modern facade on the other end of the long parcel on the Rue des Chantiers. 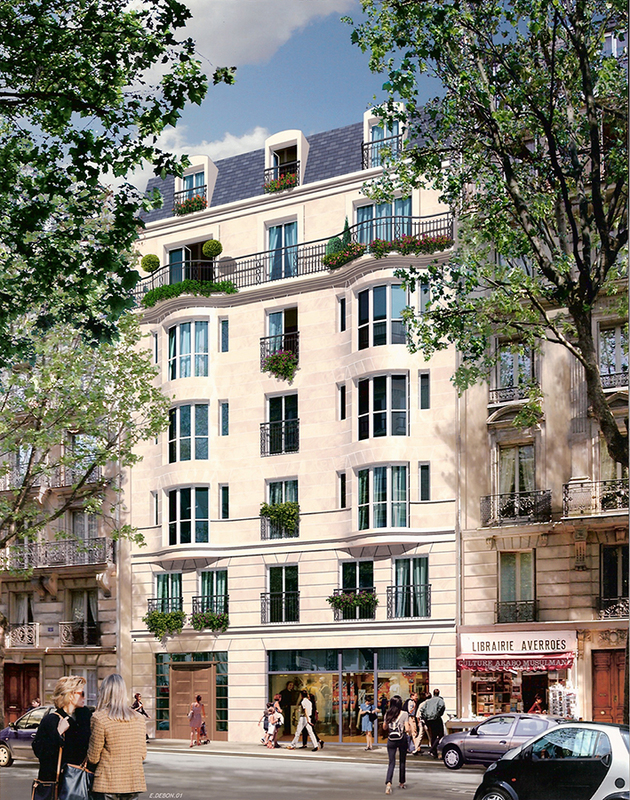 Some of the apartments are with double height in the living room and according to The Client (The biggest developer in France) they are among the best he has ever built in France.